For three generations the Silver family has lived in their seaside mansion full of hidden passageways and dark secrets. And for three generations the Silver women have been plagued by supernatural powers. But it's the year 2010--the house is being turned into a Bed-and-Breakfast and Miranda Silver is just trying to navigate college, nevermind otherworldly magic. A modern take on the Gothic genre, written by Oyeyemi, who might just be the master of the contemporary fairy tale. There’s something strange about the Silver family house in the closed-off town of Dover, England. Grand and cavernous with hidden passages and buried secrets, it’s been home to four generations of Silver women—Anna, Jennifer, Lily, and now Miranda, who has lived in the house with her twin brother, Eliot, ever since their father converted it to a bed-and-breakfast. The Silver women have always had a strong connection, a pull over one another that reaches across time and space, and when Lily, Miranda’s mother, passes away suddenly while on a trip abroad, Miranda begins suffering strange ailments. An eating disorder starves her. She begins hearing voices. When she brings a friend home, Dover’s hostility toward outsiders physically manifests within the four walls of the Silver house, and the lives of everyone inside are irrevocably changed. 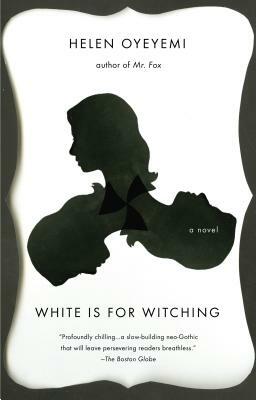 At once an unforgettable mystery and a meditation on race, nationality, and family legacies, White is for Witching is a boldly original, terrifying, and elegant novel by a prodigious talent. “[Oyeyemi] makes us glad to suspend disbelief." "Appealing from page one.... Unconventional, intoxicating and deeply disquieting." "Laced with thought-provoking story lines."